EuroTier - the world`s leading trade fair for animal husbandry professionals. Here, exhibitors present their innovations in the fields of cattle, pig and poultry farming. In addition there is the offer for aquaculture as well as the attitude of sheep, goats and pension horses. An extensive supporting program consisting of specials, forums and events offers the opportunity for sound professional exchange. The following data are subject to the independent control of the FKM (Voluntary Control of Fair and Exhibition Statistics). Talk directly to your customers of today and tomorrow! Optimize your presentation at the fair and take advantage of our extensive marketing and communication services which include sending invitations, provision of free promotional material, the Match & Meet lounge and much more besides. There are as many as eight modules to choose from, enabling you to create your individual approach for an effective communication with your visitors. 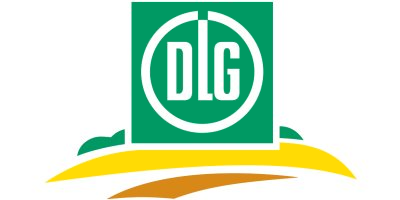 The EuroTier Special is organized by DLG, partly supported by further institutions such as e.g. Bauförderung Landwirtschaft (BFL), an organization devoted to promoting agricultural building construction and optimizing livestock management conditions. This year the topic is “Digital Animal Farming”. Regardless of whether cattle, pig or poultry – digitizing allows optimal networking of economics and ecology. The Special will illustrate both the benefits of increasing digitization and the challenges and risks of the new technologies. This year’s EuroTier SPECIAL is under the heading of digital animal farming and is dedicated to one of the major challenges of successful animal husbandry. It will focus on how management support, animal welfare and food safety can be improved and supported on farm by utilisation of modern digital technologies. Development of profitable farming enterprises requires the utilisation of digital support in a format that suits the modern farmer. Forum events of 45 minutes duration each on issues relating to the three major types of productive animals, i. e. cattle, pigs and poultry, form an important part of the technical programme. Presentations and panel discussions focus on specialist information on current topics in animal husbandry. Advertising in the official media for EuroTier 2018 is particularly effective. Before and during the trade fair, the online exhibitor database is the industry’s most powerful global medium for quickly providing visitors with information. Furthermore, the data remains available for two years as a trade directory and sees intensive use.